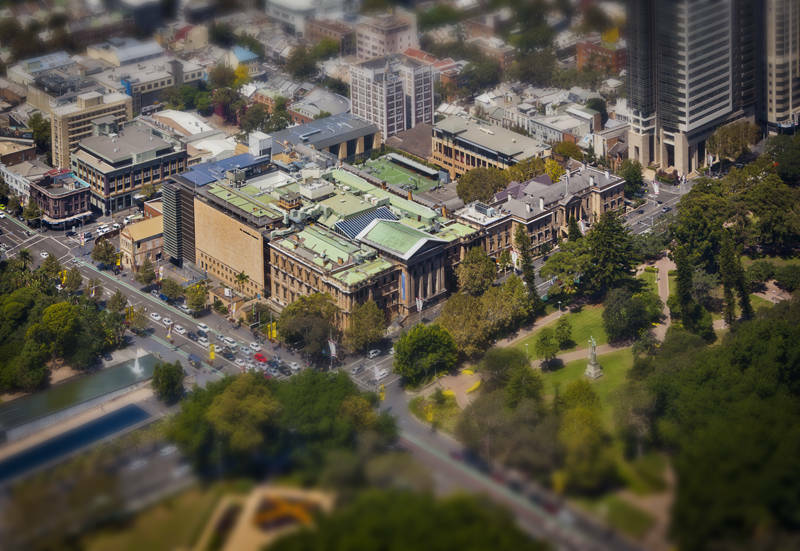 This is the Australian Museum in Sydney, New South Wales. The shot was taken from the Sydney Tower. To process this image tilt shifting was added in Photoshop.